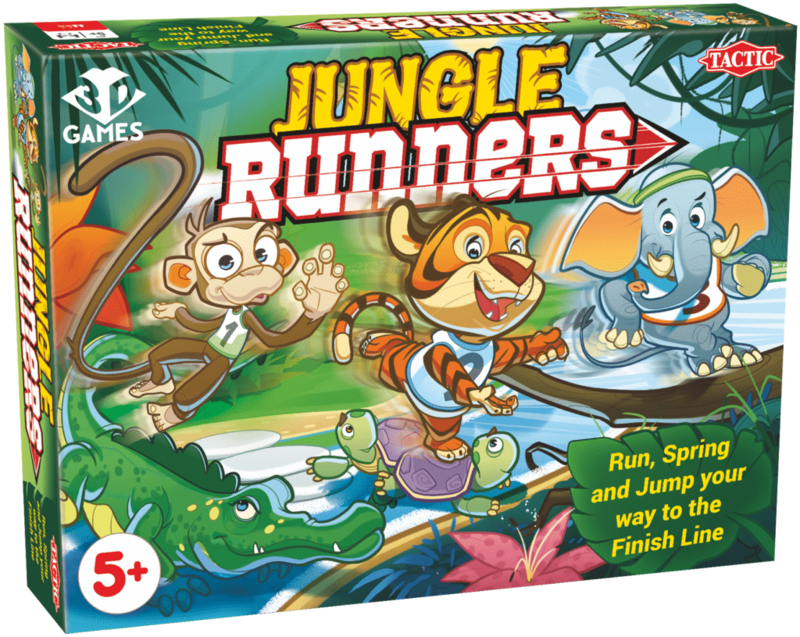 Jungle Runners, is a fun family board game, where players have a team of animals that they have to navigate through the jungle themed board of obstacles and challenges to finish the journey. Jungle Runners begins on a sports day in the jungle. Players each have a team of animals that they need to navigate through the jungle. The first team to get all of their animals to the finish line wins. Knowing the strengths and weaknesses of your animals is the key when different animals can use short cuts. Meanwhile, obstacles like the falling tree, spinning turtles, or the crocodile’s tail could slow your team down. Every roll of the dice matches an animal and a move that determines how the team tries to stick together.